Chhath Puja 2018 Muhurat, Pooja Vidhi & Timings For Surya Sashthi: Chhath, one of the most ancient Hindu festivals which is dedicated to the Sun God (Surya) and Chhathi Maiya (the Goddess Usha). Chhath Pooja also known as Surya Shashti, Chhathi and Dala Chhath. This festival is been performed on the sixth day of Kartik and it falls in the month of October. The festival falls on 13th Nov, 2018. This auspicious Chath Puja is performed just to thank Sun God for saving and also preserving life on Earth. It is said Sun God blesses their devotees with well-being, prosperity and happiness. Chhath is not an easy task but a troublesome observance which has to be followed by its devotees. The devotees have to fast without water for 36 hours continuously. Chhath festival and its traditional rituals are been observed for four days which includes various customs like holy bathing, fasting, standing in water for long, offering Prasad and prayer and arghya to the sun. It is believed that devotees gain lot of energy and positive vibes after performing chhathpuja. There are a lot of health benefits which includes improvisation of eyesight, skin, immunity system and also improves the performance of WBC (white blood cells). Chhath celebration is about revering and washing and obliges one to be unadulterated by heart and surrender their extravagance routine and take after the essential way of life for those four days. This celebration improves the relationship between the Sun God and its aficionados. Chath Puja is also known as Surya Shashti, Chhathi and Dala Chhath. Here, we have specified the shubh muhurat for the four days which may help all of you in such thorough fast. 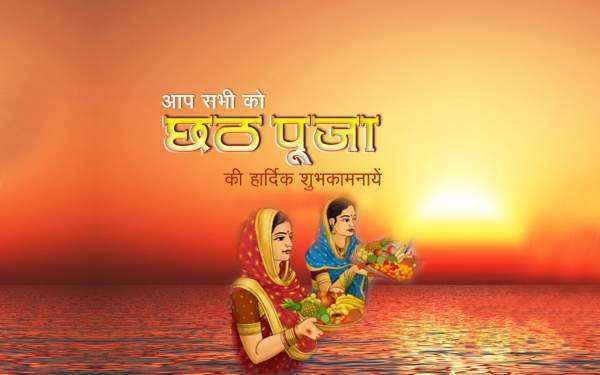 Happy ChhathPuja and might the God of Sun give each one with bliss, flourishing and prosperity. This is a four-day festival. The devotees on the first day (Nahay Khay) take a holy dip into the river/flowing water and have just a meal in the entire day. On the second day (Kharna), people observe the fast without a drop of water from sunrise to sunset. Only after the sunset, the fast is broken and food is offered to the Sun God. On the third day (Sanjhiya Ghat), Arghya (offering) is made to the Sun at the time sunset. It is essence of this day. Devotees fast throughout the night. The fourth day is known as Parna day on which people offer Arghya to the rising Sun. The process is called Usha Argya. Only after it, the 36-hour long fast is broken. Hope you got the required info regarding Chhath Puja 2018 Muhurat, Pooja Vidhi & Timings. Stay tuned for further news.